An online web based software that allows any business to see, edit and add live interactions to their CRM or database via Google Maps, without limitation of device or environment. By using CRM-Map, you can use Google Maps not just as your view of the world, but your pathway to sales, profit and growth! From the moment you log in to CRM-Map, Google Maps becomes your intuitive, cloud based route to finding and managing clients and prospects, all neatly organized, personalised to your business and industry or filtered to suit you, your team and your business. By using Google Maps as the main interface, CRM-Map is the Customer Relationship application that sales teams will find easy to use, saving you time, money and effort. 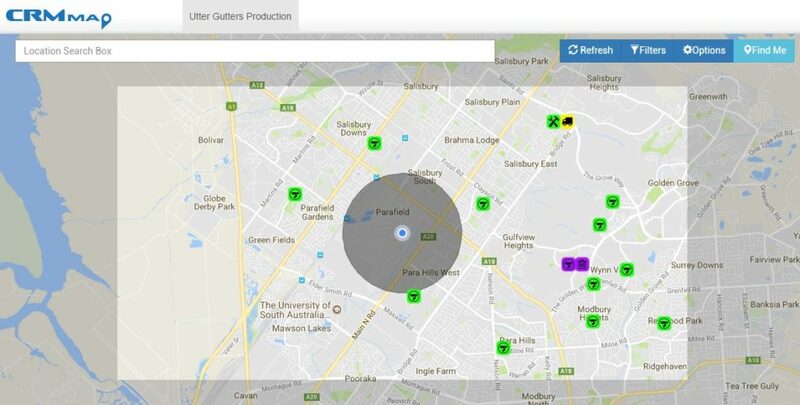 CRM-Map can do this by producing a Secure Personalized Tailored Location Visual of Your Customers, Prospective Customers and Assets via Google Maps. CRM-Map is the ideal management support tool for your sales teams. CRM-Map gives you the information you need to find your top clients, find your new customers and grow sales. Simpler accounting software application. What type of data is shared between the app and Reckon? Not the right third-party tool for you?